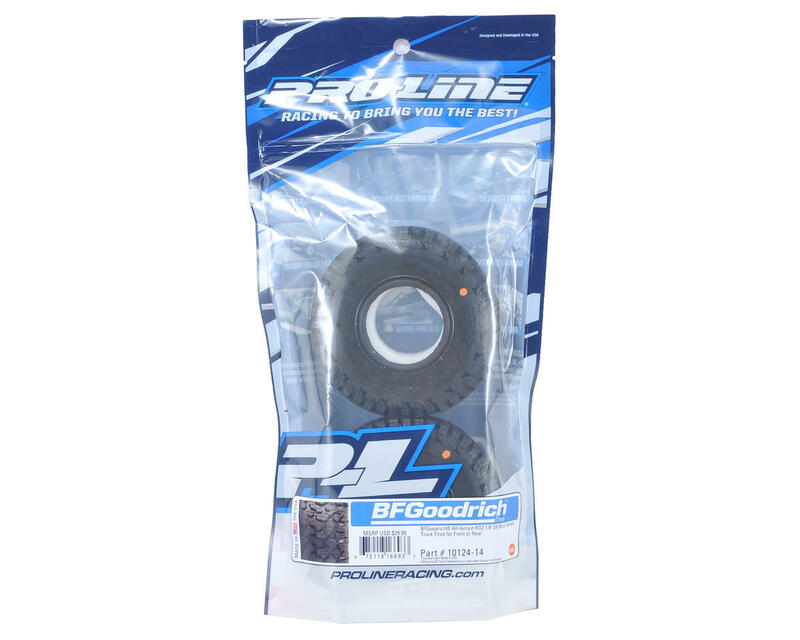 Pro-Line BFGoodrich All-Terrain KO2 1.9" Rock Crawler Tires were developed in collaboration BFGoodrich, to give your truck the ultimate in scale look and multi-surface performance. Known for extreme off-road traction and awesome street performance in the full scale world, the BFGoodrich All-Terrain KO2 tire features an iconic layout of densely packed tread blocks with a large number of tread sipes that will give your rig improved traction on any terrain! 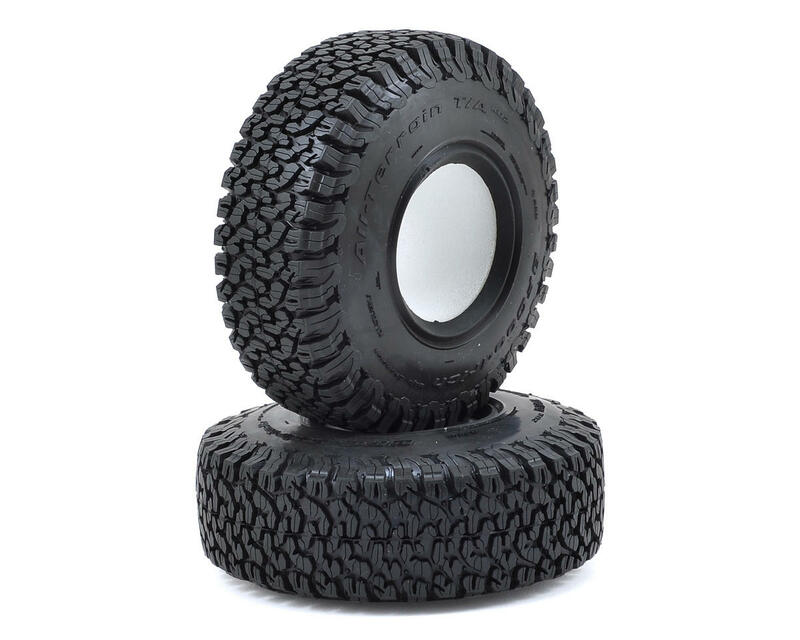 Pro-Line engineers decided that the KO2 tire needed to be 4.35” tall x 1.42” wide for the perfect balance of Scale looks and performance!